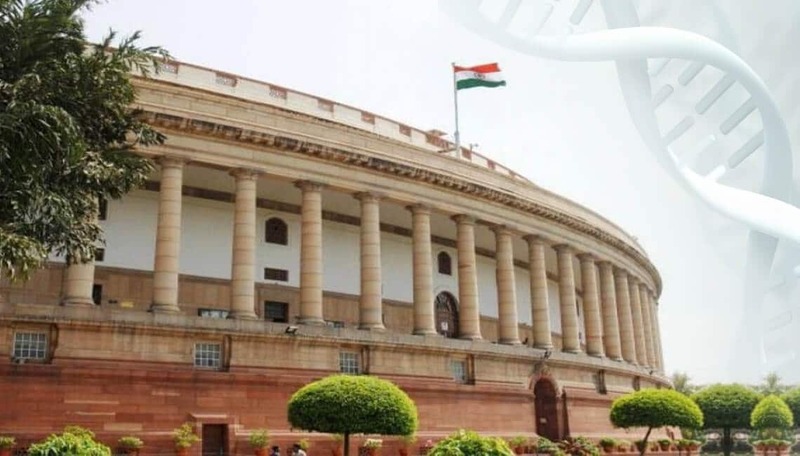 The Lok Sabha on Tuesday January 8, 2019 passes a long awaited DNA bill that allows for the regulated use of DNA technologies to establish the identity of certain defined categories of people, including offenders, suspects and the victims. Apart from this, the bill allows the use of this technology for the identification of abandoned children, missing persons and unidentified dead-bodies. As being the No.1 provider of DNA testing services in Public and Private sector, DNA Forensics Laboratory Private Limited is eager to provide our point of view towards the DNA bill. For this we shall understand its importance and implications as well as challenges which we will face to fully implement its ideas. What is in DNA Technology Regulation Bill? Under the DNA Technology Regulation Bill, regulated use of DNA technology is allowed for the identification of people in criminal matters, in case of parentage dispute, human organ transplantation & even emigration or immigration issues. The bills also mention the creation of a national DNA databank and regional DNA databanks. Unknown deceased persons’ index. It also establishes a DNA Regulatory Body at the national level to regulate the use and application of DNA technology and the accreditation of DNA laboratories. In case of non-consent, a magistrate can order collection of DNA samples. DNA profile can be removed from DNA Data bank or either written request, filling people police report or a court order. Maximum jail term of 3 years with maximum fine of 1 lakhs for misuse of DNA Information. The purpose of this bill is to expand the application of DNA-based forensic technologies to support and strengthen the country’s justice system. The usefulness of DNA-based technologies for solving crimes and identifying missing persons is well recognized around the world. By providing for mandatory accreditation and regulation of DNA testing laboratories, the bill aims to ensure that, through the proposed expanded use of this technology in this country, it is also ensured that DNA tests are reliable and the data remains protected from abuse or abuse in terms of the privacy rights of our citizens. DNA analysis is an extremely useful and accurate technology for determining a person’s identity from their DNA sample or establishing biological relationships between people. A sample of hair, or even bloodstains on clothing, from a crime scene, for example, can be compared to that of a suspect, and it is generally possible to conclusively determine whether the Sample DNA belongs to the individual suspect. As a result, DNA technology is increasingly used in criminal investigations, the identification of unidentified bodies or the determination of parentage. But information from DNA samples can reveal not only the physical appearance of a person, the color of their eyes or their skin color, but also more intrusive information such as their allergies or their vulnerability to diseases. As a result, information from DNA analysis is more likely to be misused. The increased use of DNA technology should not only speed up court proceedings, but also increase the conviction rate, which currently stands at only about 30%. Which other countries use their DNA Data bank? The utility of DNA based technologies for solving crimes and to identify missing persons is there are 60 countries, including the U.S., U.K., Norway, New Zealand, Finland, Bangladesh and many more. How they collect, secure and when they use it? Some countries maintain only crime scene DNA profiles databases, but others also maintain databases of DNA profiles of individuals. If only crime scene DNA profiles are stored, it is still possible to search for a new person’s profile in all previous crime scene profiles to determine if they are suspected of any of these offenses. However, the retention of individuals’ DNA profiles allows them to remain suspicious of any future crime. The largest databases of DNA profiles of individuals are in the United Kingdom and the United States, each storing the DNA profiles of about 5 million people. Currently, laboratories in these two countries also store DNA samples from individuals in the database. How India intend to use its DNA database and bank? In India, the board, which will have regional offices as required, will certify authorized laboratories for DNA testing, approve the establishment of DNA databases and oversee their operation, and define procedures and guidelines for storing, sharing and deleting DNA information. A national DNA databank and some regional DNA databases will store the DNA profiles received from the DNA labs in a specified format. DNA will be made available only to facilitate the identification of persons in criminal cases in accordance with the rules of admissibility of evidence, to facilitate prosecution or defense, as well as in civil investigations. Except for the index of suspects and offenders, the identity of a person should not be recorded in other indexes. In this case, only the reference numbers of the cases must be memorized specifies the bill. If a person is not an offender, a suspect or a victim of the murder, his / her DNA information cannot be compared to the offender’s or suspect’s index. DNA profiles of suspects or victims can be removed from the index in accordance with court decisions. Fears of misuse: According to bill, the need for a DNA database seems clear if we look at its importance in identifying criminals and protecting the public. However, this type of public protection must also be carefully carried out to ensure that information is held securely and used in an ethical and accurate manner. Issues of privacy and confidentiality: The bill clearly states that DNA samples will be taken from a person (except for any offense punishable by death or imprisonment for more than 7 years) only with consent. If the person refuses, then the investigator must ask the magistrate for authorization to take the DNA sample. This approval is only given if the magistrate is satisfied that this will prove or refute the guilt of the arrested person. In addition, if the trial court is satisfied with the accuser’s request that a DNA sample taken from the accused or the crime scene is contaminated, the court may order a reconsideration of the case. Data protection: As per bill, we do not store any nominal data linking a DNA profile to an individual. A DNA profile is simply a list of numbers based on the structure of an individual’s DNA, producing a numerical code that can be used to differentiate individuals. This profile contains no information on physical or psychological characteristics, illnesses or predispositions to a disease. Definitely scientific up-gradation and streamlining of the DNA testing activities is the best step towards supporting and strengthening the country’s justice system which is considered as the gold standard for the people. We hope that this DNA bill will cover all the challenges and will provide benefits to the people of the country. Home DNA Test Kit – Is This Accurate? Is Genetic DNA testing a good idea?